The story of how the Judah L. Magnes Museum — whose collection of Judaica is the third largest in the country — became the Magnes Collection of Jewish Art and Life at the Bancroft Library of the University of California, Berkeley, might not seem terribly ripe with complication or implication. In recent years small private museums facing financial strain have often sought refuge by negotiating new lives within universities. Perhaps on Sunday, when the Magnes opened its doors to the public in a building it had long owned near the campus here, it was simply inaugurating another phase of its 50-year life. But along the way the Magnes has had more than its share of high drama, including a much anticipated union with another local Jewish museum in 2002, closely followed by a quickie divorce on grounds of irreconcilable differences. Then, the Magnes had to watch as its onetime partner achieved local glory as the Contemporary Jewish Museum, opening in downtown San Francisco in 2008 in a new building designed by Daniel Libeskind. Meanwhile the Magnes struggled to map out a future for its rambling and exotic collection of some 15,000 objects and manuscripts, which since 1966 had been housed in a rambling and exotic mansion on a residential street. It attracted no more than 10,000 visitors annually and cost $2 million a year to maintain. The story also has larger resonance. The fate of the Magnes has much to do with the evolution of the American identity museum, with its chronicles of ethnic liberation amid hardship. And it is also intimately connected to the political and cultural temperament of the Bay Area. 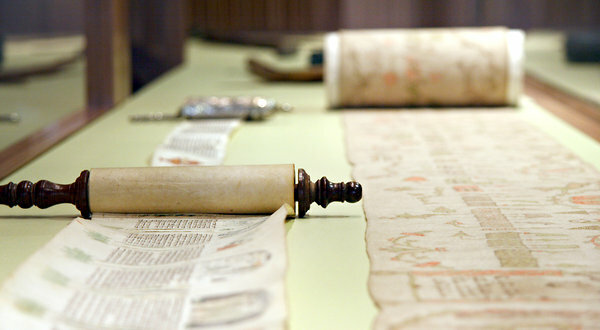 The Magnes Collection of Jewish Art and Life is at 2121 Allston Way, near Shattuck Avenue, Berkeley, Calif.; magnes.org. A version of this review appeared in print on January 23, 2012, on page C1 of the New York edition with the headline: A Jewish Museum Shifts Identity.